Holy smokes, folks! The kind people behind Newport Folk Fest are showing some love to fans on the West Coast. 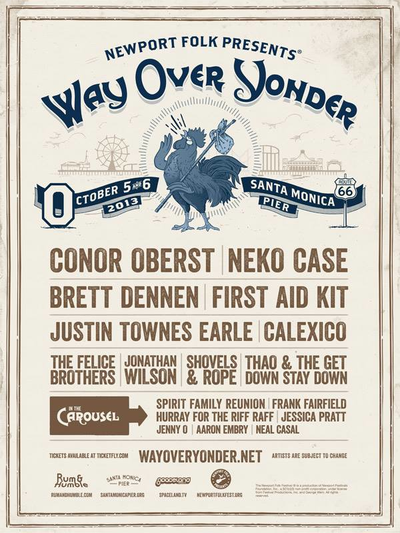 Way Over Yonder will bring the likes of Conor Oberst, Neko Case and countless other acts you will come to know and love (trust us, we’ve been schooled every year by such lineups in Newport). Buy those early bird tickets now to avoid tears in your beer down the road! Stay tuned for Newport Folk Fest coverage coming real soon from the Donkey. We’ve tracked down quite a few artists and asked strange questions. Yeehaw!